I expected Easter Island to be one of the highlights of our big trip, and I wasn't disappointed. From the moment we boarded the plane, I felt like a lucky member of a privileged group, and I suspect quite a few of the other passengers felt the same way. Certainly, there seemed to be a larger than usual interest in the view from the plane windows as we touched down. 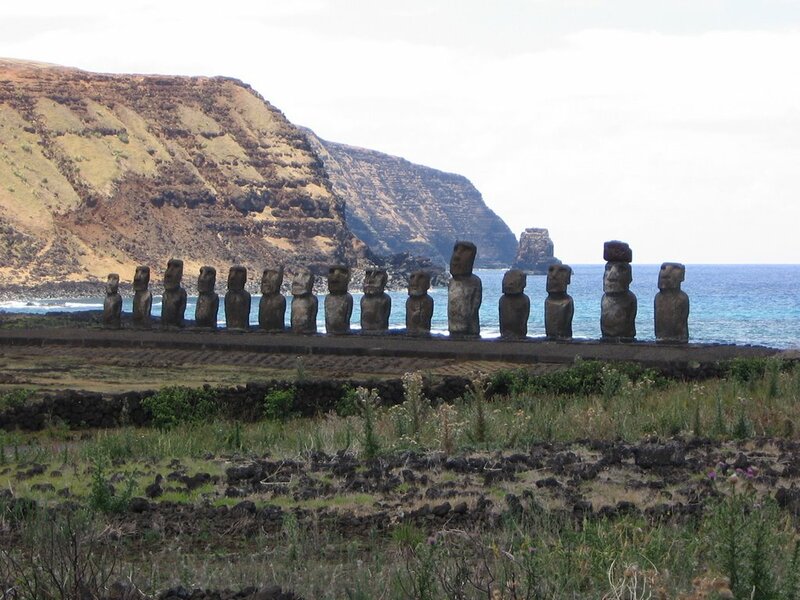 What makes Easter Island so special? 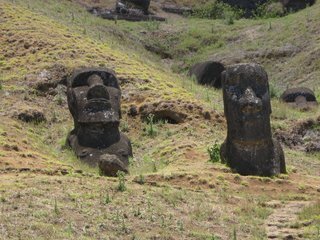 The obvious answer is the moai, the giant stone statues with exaggerated heads that some believe consumed so many of the island's limited resources that the ancient Islanders nearly perished. These are indeed magnificent, but there are other reasons the island is a special place. It is one of the most isolated places on earth, and receives far fewer visitors than its spectacular history and beautiful scenery would draw in a more easily reached locale. Despite the relatively few visitors, tourists still outnumber locals. Therefore, it is easy to forget to how isolated the island is-at least until you notice that a can of beer costs the same as a can of soda, which costs the same as a bottle of water. This is because the price of these items as set by transport costs, and they all occupy a similar space in a container ship. The culture on Easter Island, both current and past, also makes the place special. The current Islanders are warm, friendly, and very welcoming. They never made us feel out of place, even when we turned up at a restaurant only minutes before the high-school graduation dinner guests arrived. We were seated at a prime table, with a view of both the water and the evening's festivities. The high schoolers were as boisterous as you would expect from their age, but were also great fun to watch. It was a small class, with perhaps 30 students, so they all knew each other and, at least for the night, were friends. They talked, laughed, and took quite a few group pictures. We couldn't resist trying to capture a picture of our own, to show the wide range of fashion on display. Most of the boys wore Island print shirts and light colored trousers. The girls' attire, however, ranged from slinky modern dresses to a beautiful island print full length gown. We weren't quick enough with our camera, though, so we'll just have to hope and the memory stays with us. A more conventional cultural highlight was the island dance night we saw. 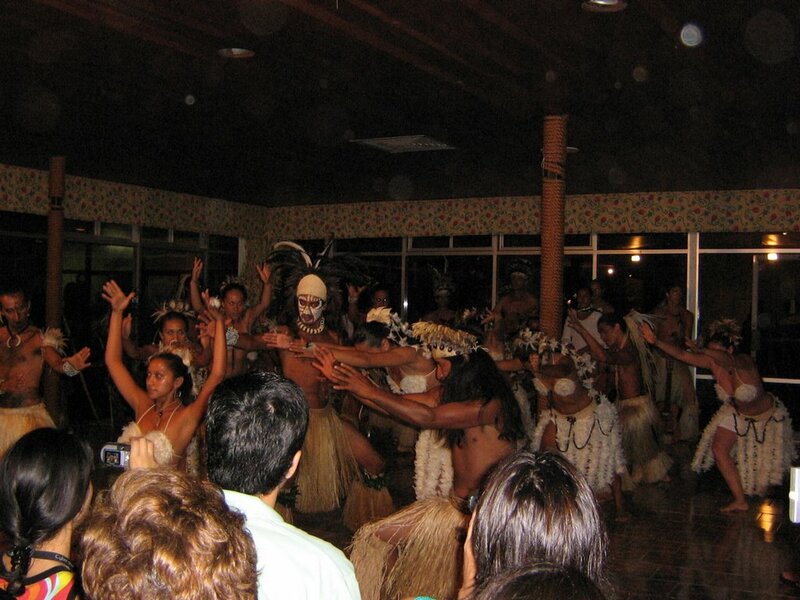 There were certainly similarities to dances we've seen on other Pacific islands, but there were clear differences as well. The costumes used feathers, which we had never seen before. The men's dances involve more leaps and twirls, and the women's dances used a wider stance, which made the characteristic Polynesian hip sway more pronounced and also more gentle. This was also one of the happiest dance troupes we have ever seen, and despite the suboptimal setting the for the show (several rows of chairs around a room, so the only the first row got a clear view), it was one of the most enjoyable shows we've seen. Another fascinating cultural feature is the way Polynesian culture has been adapted to this island, and blended with the influence from South America. 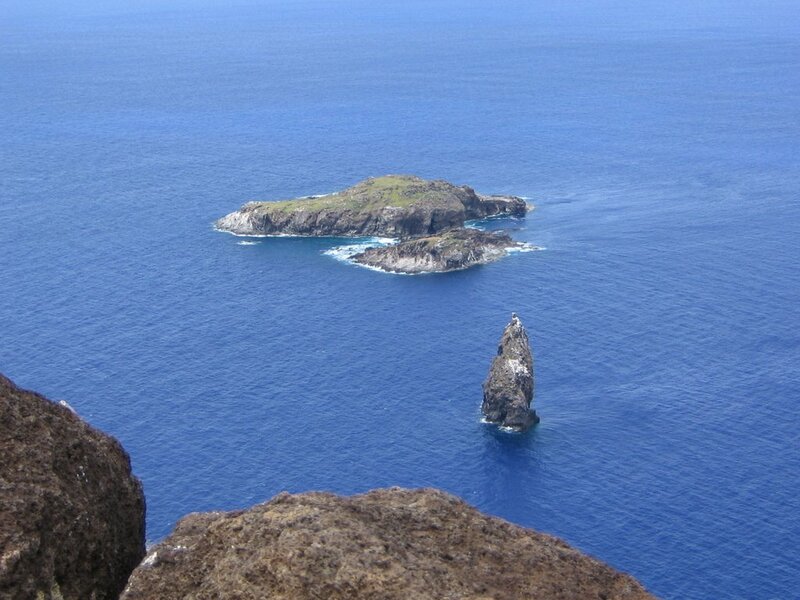 The original Islanders are thought to have come from the Marquesas Islands. They brought various crops with them, but found that the tropical plants did not fare well in the drier subtropical climate. They came up with an ingenious solution to this problem. They built short circular stone walls, a bit like above ground wells, which concentrated the humidity and allowed their crops to grow. The South American influence is prevasive, but subtle. It is most obvious in the restaurants, many of which serve empanadas and other non native foods. The provenance of the ceviche is less clear, given its strong resemblance to the raw fish dishes found in Polynesia, such as Tahitian poisson cru and the Cook Islands' ika mata. 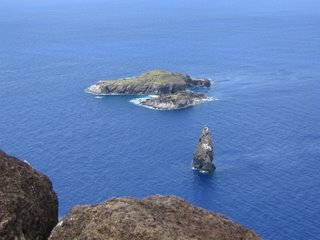 The natural beauty of Easter Island also contributes to the feeling of specialness. If you can forget that the island should have more trees, the rolling grasslands are quite beautiful. 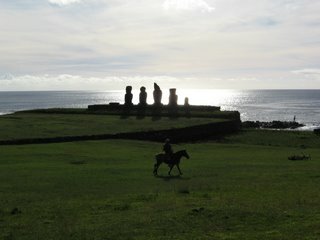 The sharp contrast between the flat green ground and the tall stone moai is striking and wonderful, particularly when an Islander riding a horse crosses the scene, as happens not infrequently. However, my favorite natural feature was the color of the surrounding water. It is the usual tropical deep turquoise in the shallower parts near the shore, which in and of itself would be beautiful, particularly since the lack of coral reef means that there are actually turquoise waves crashing on the shoreline. It is the contrast with the deeper water that elevates the scene to the sublime, though, and unlike other islands that have coral reefs to separate the shallow from the deep, the water here transitions from tropical turquoise to a deep indigo blue with no barrier in between. I have never seen water the color of the deep water around Easter Island. It is neither blue nor purple, and the best I can describe it to say that it is roughly the color of the ink in a cheap blue ballpoint pen. This description does not do it justice, and I will forever associate this indescribable color with this island. The water was beautiful from shore, but was even more amazing when we were immersed in it. We went snorkeling on our second day on the island. The snorkeling itself was nothing special. The water was too deep and our snorkeling skills too limited to allow us to see many fish. But the beauty of the water made the trip worth it. My husband also got to see a flying fish during the boat ride to the snorkel spot. I was looking the other way, so only caught a fleeting glimpse, but he saw the fish in full flight, and swears it banked like an airliner. Of course, none of this is the reason most people, myself included, come to Easter Island. The real attractions are the giant stone moai and their cautionary tale about the potential for our deepest beliefs to lead to our destruction. Whether or not the ancient Islanders truly depleted their supply of trees to assist them in moving the moai from the quarry, at which they were carved, to the ahu, or platforms, from which they oversaw their villages, the idea that this might have happened should give all of us pause. 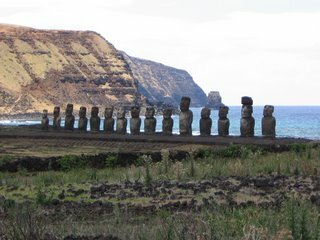 The islanders believed that the moai wore their ancestors. Once moved (by a now mysterious method) to the ahu, the moai were given eyes. 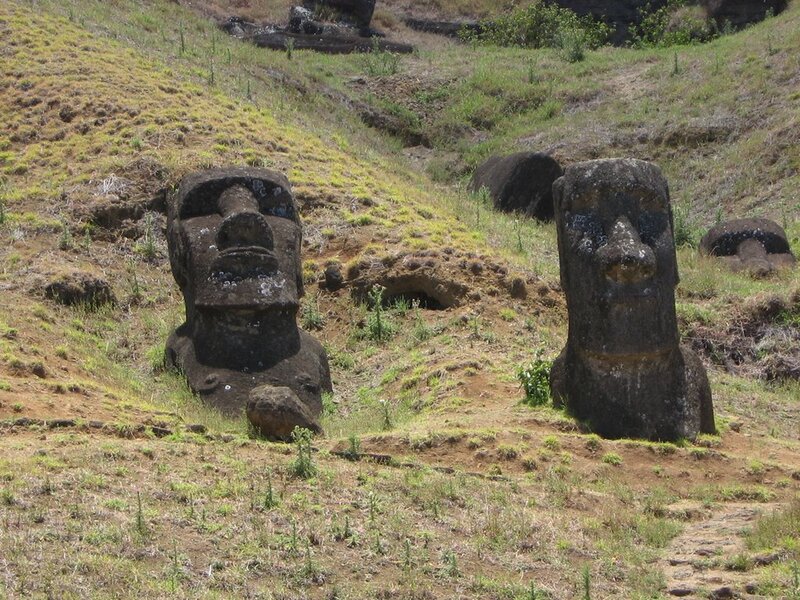 Once the eyes were in their sockets, the moai was believed to have mana, or power, which protected the village. One can easily imagine how, given this belief, the Islanders would have continued to carve and transport the statues even as they descended into inter- village warfare, most likely caused by competition for scarce resources. As the fighting intensified, the Islanders would have wanted even more of the powerful moai to protect them. Sadly, the moai did not protect them. By the time European explorer stopped at the island, the moai were all toppled (pushed over by rival villagers to destroy their mana) and the Islanders were nearing starvation. Many people now doubt that the need to transport the moai was the cause of the resource scarcity- overpopulation is more likely. 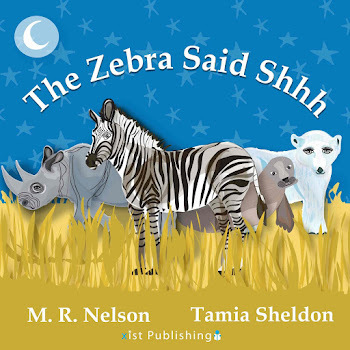 Still, the story lives on, perhaps because of its irresistible resonance with some of the issues facing us now. Whatever the reason for the dwindling supply of trees, it is clear that at some point someone cut down the last tree. It is hard to imagine how that could happen until you visit the island and realize how big it is You cannot see from end to end. 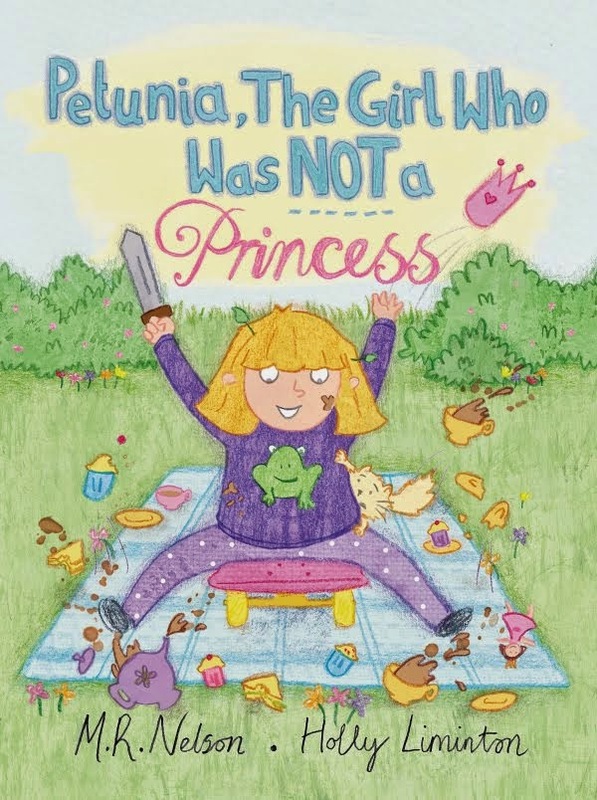 Therefore, it seems likely that what happened was that several people independently cut down the last remaining tree in several different locations, each unaware that others were similarly depleting the trees elsewhere. And so otherwise reasonable people brought their culture to the verge of extinction. To me, this is the true message to our times. The similarity between what happened on Easter Island and Mesa Verde is striking to me. The current theories about the "disappearance" of the Anasazi (a term no longer used since they didn't disappear - they just moved south, mostly) from the Four Corners civilizations center around a lack of resources and a dissolution of society ascerbated by fundamental, cult, religious movements.